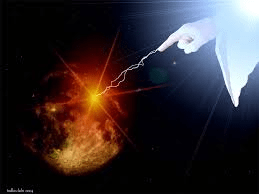 Calling the Wrath of God on People…. I have witness a lot of ‘Christians’ do this. One family I was connected to for period of time did this and I’ve seen a pastor go into the hospital because of their calling of the wrath of God on people. I remember, praying that God’s might army of Angels would fight for me, then that night the wind started blowing strongly. About a week after that, this close family, who saw me an enemy and I saw them my friend and I love them. They called the wrath of God on me. Week later, I’m getting blessed more and more and they are just losing everything. Called it on the wrong person. Calling the wrath for God on people is not ‘Kind’. Love is Kind and the mark of a true Christian is ‘LOVE’. You can have faith, GREAT! Even demons believe in God. You can have all the Hope in the world that your going to be saved, but faith and hope are not enough. Love is the fulfillment of the Gospel. A Gospel without Love is just another religion. But Faith acting in Love is what being Christian is truly about. Anyone who doesn’t love doesn’t know God. God is Love. This entry was posted in Love and tagged 1 Corthians 13, Calling the Wrath of God on people, Love, Wrath of God by Keith West. Bookmark the permalink.